Are you eligible for CAP Status? The School of Pharmacy at the University of Waterloo is the first new pharmacy school in Canada in 20 years and housed in a state-of-the-art education and research building on the Health Sciences Campus in downtown Kitchener. We offer an innovative undergraduate pharmacy curriculum that integrates foundational knowledge in the biomedical and pharmaceutical sciences with applied skills in the clinical, behavioural and social sciences to prepare our graduates to serve as medication therapy experts. Giving pharmacists an incentive to talk with their patients about vaccines could prevent thousands of influenza cases each year. Researchers at the University of Waterloo found that, in Ontario, Canada, introducing a $15 consultation fee for pharmacists who consult patients over 65-years-old and over could prevent approximately 2,400 influenza cases, which result in three deaths, per year. Heidi Fernandes, a Masters student in the School of Pharmacy, has received the Amit and Meena Chakma Award for Exceptional Teaching by a Student. This prestigious award is open to all students who teach at the University of Waterloo, and only four are awarded each year. Life expectancy in Canada is increasing and so is the prevalence of chronic diseases and Canadians who take multiple medications to manage those diseases. For Canadians who take three to four medications each day, remembering when and how to take each one can be challenging. 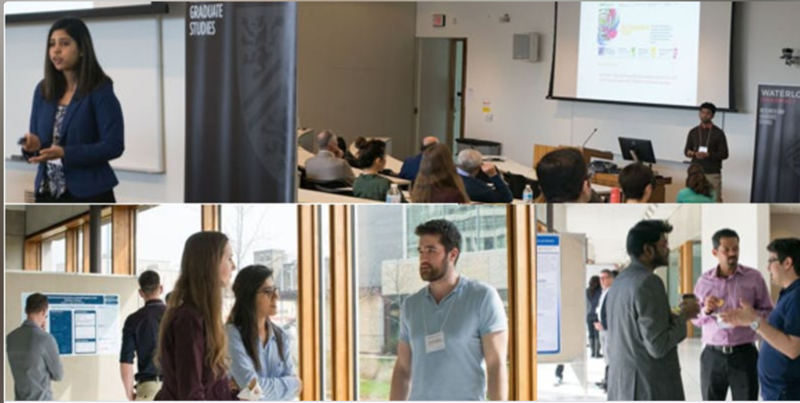 Members of the University of Waterloo research community, our colleagues, collaborators, and students are invited to join us for our third annual Pharmacy Research Day, where we showcase the leading edge research of graduate students and postdoctoral fellows conducting research in fields related to clinical pharmacy and pharmacy practice, pharmaceutical sciences, pharmacoepidemiology and pharmacoeconomics.